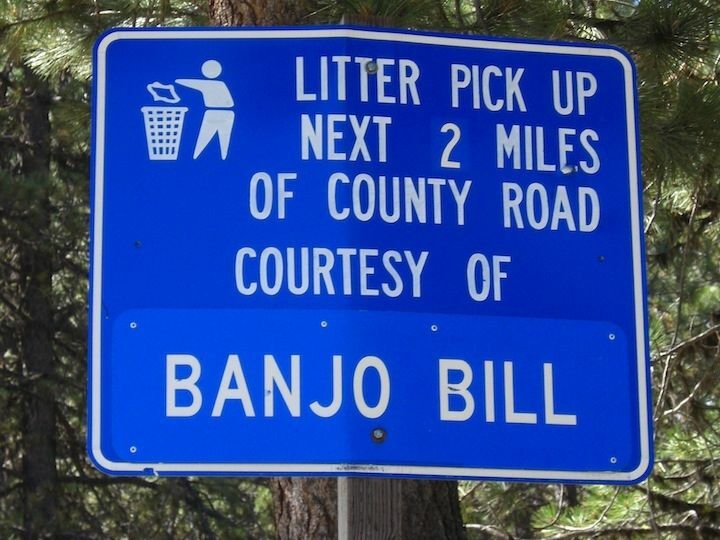 One often sees these Litter Pickup signs along byways in America. They have a dual purpose: 1.) To alert people that littering is not acceptable and that, on regular intervals, some dedicated volunteer is providing a free service to make the highway clean; and 2.) To promote the particular group, organization, business, or individual who is providing this important service. Hats off to these warriors of highway cleanliness!